Hailed as a landmark, Auckland Tower, opened in Bishop Auckland in October 2018. The 95ft (29m) structure is part of a wider project which is set to rejuvenate the town by making it a top tourist destination. The viewing platform offers panoramic views over the town and the tower displays information about Auckland Castle, which is undergoing major redevelopment. protection on a site that had a relatively small footprint. The Genie Z135 is part of AFI’s Super-Set fleet, it has a working reach height of 43.15m with a potential outreach of 21.26m. 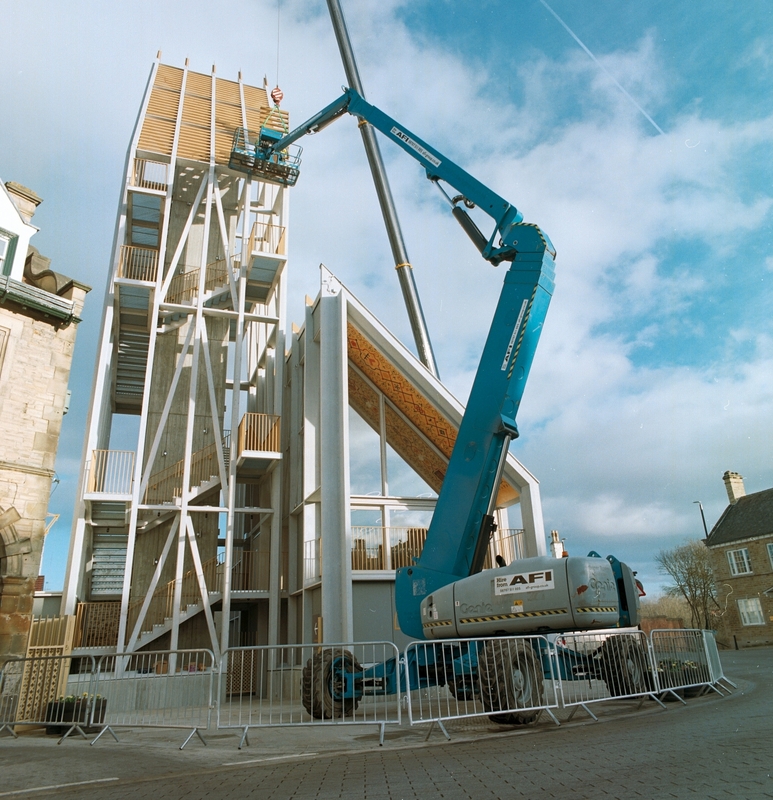 This machine provided the necessary range of movement, reach and versatility required to enable operatives to erect the panels safely and efficiently. Vest Construction, a privately-owned Building and Civil Engineering company which targets construction projects in the North East region, are the main contractor for the development. AFI has made considerable investments in its Super-Set range, which now features over 130 machines with working heights from 21.40m to 58.56m. AFI’s Super-Set large machine hire range now has its own dedicated transport delivery fleet and includes the impressive Holland Lift Megastar Diesel Scissor Lift which has a reach height of 33.70m and the world’s largest boom, the JLG 1850SJS which has an eye watering reach height of 58.56m!